Google and Samsung have announced a desktop PC sporting an overhauled Chrome OS, with the Chromebox joining a brand new Chromebook laptop. With Chrome OS reshaped entirely to much closer resemble familiar operating systems like Apple's Mac OS and Microsoft Windows the new products are hoping to capture a share of the low-cost market. With Chrome OS trying to take advantage of the move to cloud computing, both Chromebook and Chromebox are all about connectivity and the Chrome browser remains front and centre in the operating system. First up in the new product range is the latest Samsung Chromebook which features an Intel processor, 16GB SSD, 4GB RAM and a completely revamped touchpad for £379 or $449 ($549 and £429 for 3G versions). The laptop builds on the previous Chromebooks and takes advantage of the latest Chrome OS to offer a speedy browsing experience. Another interesting addition is the Chromebox, a small form-factor PC which is looking to mine the niche that is net-tops. 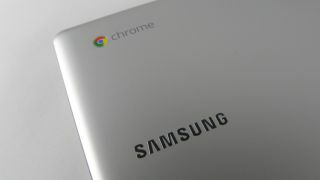 "We're pretty happy with the progress of Chrome OS," Google's vice president of engineering Linus Upson told TechRadar. "The new generation of hardware is two or three times faster so that is also something we're pretty excited about. "The touchpad was a bit fiddly so we have completely overhauled the touch stack here. "It's just becoming a delightful thing to use." "When we pushed that update people were thrilled but with the new chromebooks we had a chance to rev the hardware experience as well and with these the touchpad is as good or better than anything out there." The updated Chrome OS software is obviously a key change, and the Google exec believes that the overall offering is getting to be a key product. "The package of all of these things together has taken to where we are very excited," he added. "It's just becoming a delightful thing to use."